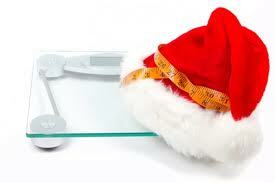 7 Tips to Help You Avoid Holiday Weight Gain! I received this question from one of my facebook friends and it was such a great question I decided to do a blog post about it and share it with you! From pretty lady Robbie Haynes! Don’t wait until the holidays to all of a sudden start practicing self-control! This will be hard every day you should be practicing delayed gratification in one way or another. This will give you the strength you need during the holidays to avoid high fatty foods or over eat. 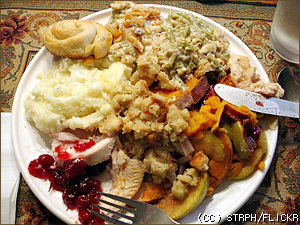 Plan out your meals: If you know that you want to have some mac- n-cheese or apple pie plan on having a small serving. Pick 2-3 things and have small servings nothing should be more than ½ cup. You can’t eat everything in sight; you don’t want all of your hard work to go to waste. Fill up on veggies and water, go nowhere hungry! BYOF! (bring your own food) Make your own healthy alternatives and bring them so that you have some healthy options right there. Be sure to exercise! This will do 2 things; at least it does for me! (1) It will increase your metabolism so that you will be burning off calories all day. You must make sure you exercise at a high intensity. (2) When I know that I’ve just burned 400-500 cal working out for an hour and if I eat that cake I just blew my workout, it’s so not worth it to me. Don’t eat late! I don’t eat after 6 unless I’m having a recovery meal after a workout. Follow this rule because if you eat late you will wake up with it tomorrow! The day after or the next few days depending on what and how much you ate do a green food smoothie replacement for lunch and dinner or all your meals. This will get you back on balance and you won’t feel bad for having fun on the holidays! I Hope you enjoyed these tips, if so please share the Reign! 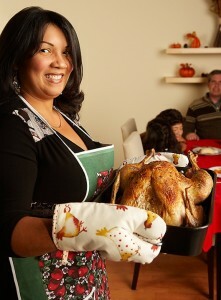 Tell me what are some of your tips to keep your Hips in check for the holiday season!? « Previous Post Protein Pancakes! Next Post » Triple Threat Fat Loss 7 Day RIL Fitness Challenge!